In 2013, life as I knew it suddenly ended. I was twenty-two and visiting the U.S. for an educational program with the State Department. I received word that my father had been detained by officials in Syria. My mother and two sisters fled to Turkey. We haven’t heard from my father since. For my safety, I had to stay in America. I’d come to Washington, D.C., with only a carry-on bag. I owned nothing. I didn’t get to say goodbye to anyone. When I left, it was the first time in my life I had been to any western country. I’ve been here ever since. Starting over was incredibly difficult. I didn’t know a single person here. I didn’t have a job or money. And I was plagued by mental issues as a result of the war and my father’s disappearance. Little by little, I worked my way up. I worked in a restaurant. I was an au pair. I didn’t have a place of my own, but I met someone who invited me to stay in their home. All it takes is one person to change your life. From there, I kept making new friends. Over the course of a year, I slept on nine different couches. It’s unbelievable that I survived that first year. In the midst of my nomadic life, I found time to apply to college. I was offered a full scholarship to Bard College in upstate New York. Going to school was an adjustment. I had been pursuing my undergrad degree in Syria, but that was a completely different system. I found my voice in school. I struggled with depression and grief. But I realized the only way to heal was to become a storyteller. I wanted to tell my family’s story. I wanted to tell my own story. I wanted to help people understand the refugee crisis. And I wanted to put a human face on it. I’ve left Syria, but I’m not free. The fight starts when you flee. But it doesn’t have an end. I have fought for my survival because of my upbringing. I grew up in a family that was very appreciative, supportive, and determined. Today, I try to give a voice to the voiceless. As long as I’m in America, I’m going to spread the word about the war in Syria. I want to educate people so they understand what’s going on. I am a consultant with organizations that work on refugee projects. I design and plan conferences to explain the refugee crisis and tell people how they can help. There’s a price to pay for everything—especially for what you believe in. My father was detained because he spoke out against the regime. None of us have heard from him to this day. I haven’t grieved yet, because I’m not even sure if he’s dead or alive. I have just coped with the reality. I know that he would have wanted me to continue speaking out. My family believes in freedom, so we are willing to die for it. 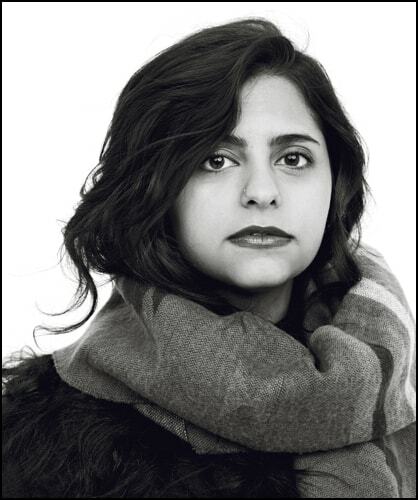 Sana Mustafa is the founder and director of Sana Mustafa Consulting LLC, where she consults on designing engagement and bridging projects on the refugee crisis. Mustafa is an active public speaker on the refugee plight, as she herself has been a refugee in the U.S. since 2013.